Mobile web traffic has been growing year-on-year. Since 2016, more web pages are served to phones than to laptop or desktop computers. Mobile accounts for 52% of all web traffic, and in Asia the figures are as high as 65%. In 2017, Google announced that their indexing algorithm will rank mobile content higher. Put simply, mobile-friendly sites are encouraged by search engines and are becoming expected by web users worldwide. This is why everything we do at Kyan puts mobile first. We have been building apps for mobile devices since the days before the iPhone was even released (remember PDAs and Pocket PCs? 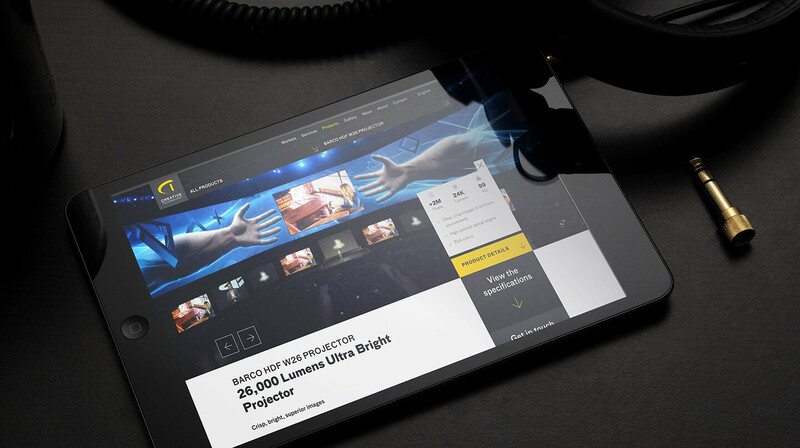 ), and we continue to make sure that every project we build offers an unrivalled mobile experience. We have been building mobile apps since 2007 and have tried many different technologies along the way. We build native iOS mobile apps using Objective-C and Xcode. Any of the web apps we develop will also have a dedicated mobile interface. React Native is a highly customisable and powerful toolkit for developing native mobile apps. 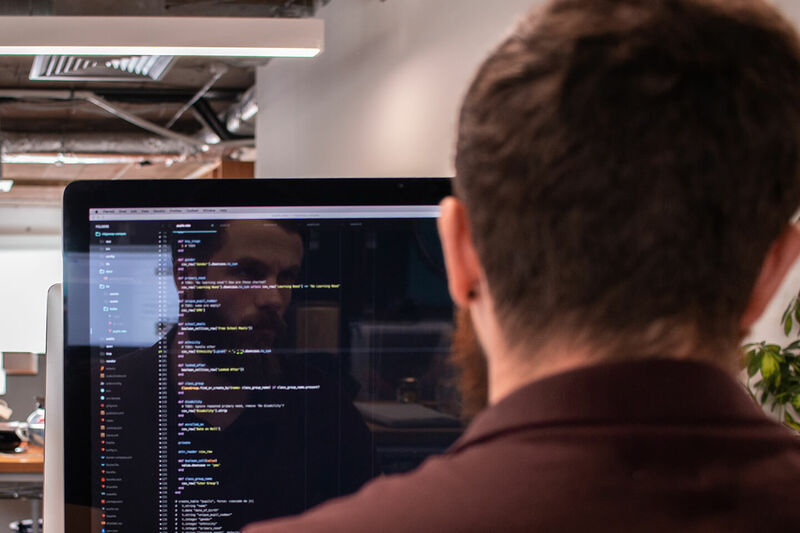 One of its most attractive features for us is that it reduces the development time of building for two platforms, so developers won't have to build the same app for iOS and for Android. A key feature of React Native is that there is little difference between an app built in Objective-C or Java and one built with React Native. One of the most interesting advances in mobile app development in recent years is the advent of Progressive Web Apps, or PWAs for short. This approach leverages the development of traditional web app development and has the added advantage of avoiding the whole process of submitting your app to an app store as the application begins to download as soon as the visitor arrives at your website via a compatible device. In the early days of the mobile web, the standard approach was to build a separate website for mobile (and consequently double the development time and costs too). This was eventually superseded by a fluid approach to responsive design; the same website is delivered to desktop and mobile users using different stylesheets triggered by screen size. 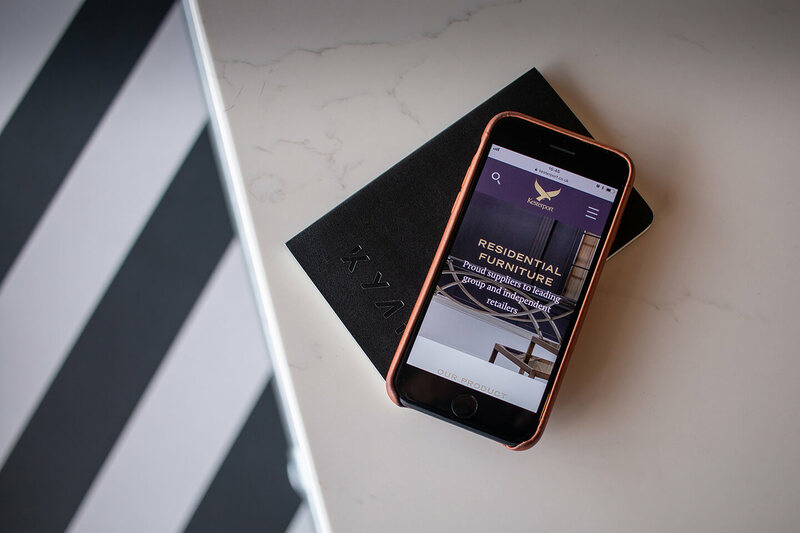 The Kyan approach to responsive web design is exactly this – to build for design breakpoints rather than specific devices. This means that a wider range of devices and screen sizes is supported and the end-product is future proofed for the release of new handsets, tablets and laptop screen sizes, ratios and resolutions. To support this, an extensive suite of phones and tablets comprises our Device Lab, a place that we can thoroughly test our work. 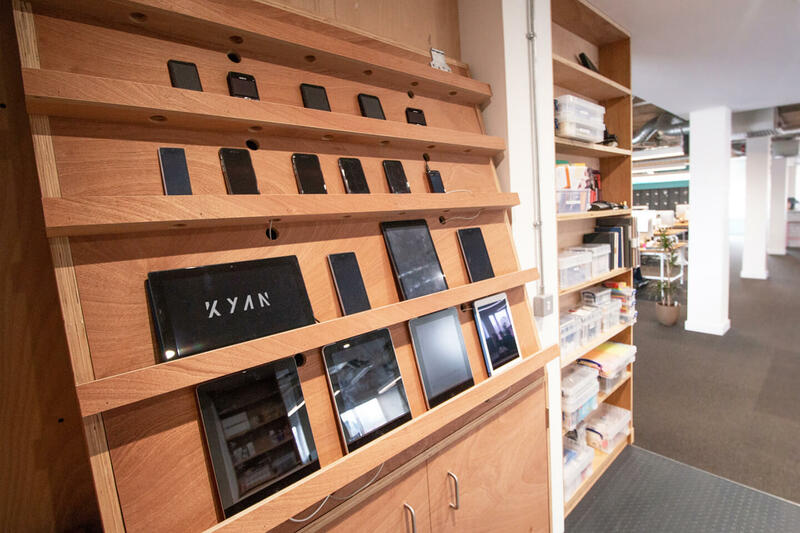 Kyan’s DeviceLab, where we can test our sites and apps across a wide range of smartphones and tablets.